The New Jersey Department of Human Services works with consumers, families, advocacy groups, state and municipal officials and service providers throughout the state to guarantee that the rights of the disabled in New Jersey are safeguarded and that they and their families are provided access to quality services and programs that meet their immediate and long-term needs. The New Jersey Department of Human Services, in a general sense, imposes and enforces NJ Disability Laws. This New Jersey Disability program provides eligible families with financial assistance for incurred medical expenses for their children that exceed 10% of the first $100,000 of their shared income plus 15% of any income in excess of 100 grand. 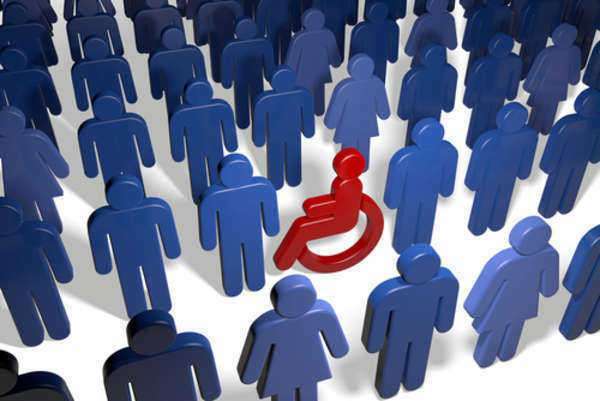 NJ Disability Wage Requirements: NJ disability law states that an individual applying for New Jersey disability benefits must meet state-established wage requirements to be eligible for temporary assistance. In order to file a valid claim for New Jersey Disability, you must have received at least 20 calendar weeks in covered New Jersey employment in which you earned a minimum of $145 per period or a cumulative total of $7,300 in such employment during the base period. • NJ disability law states that applicants who are not under a current medical care plan are not eligible for New Jersey disability benefits. All applicants for New Jersey disability benefits must be under the care of a legally licensed optometrist, dentist, and physician, practicing psychologist, podiatrist, certified nurse, chiropractor or advanced practice nurse. • For any time during which benefits are being paid or under and disability or cash sickness benefit or similar law of the state or Federal government. • Temporary New Jersey disability benefits are reduced by the amount paid under any private retirement or government plan. Social Security Retirement Benefits will not reduce State Plan temporary disability benefits. Disability benefits are designed to be delivered via mail. You must submit your claim for New Jersey disability benefits by mailing the application (Form DS-1) to the Disability Insurance Office in Trenton. NJ disability declares that Form DS-1 may be procured from the State of New Jersey’s Department of Labor and Workforce Development (located here) or by telephoning or writing your employer, your union or the Division of Temporary Disability Insurance. The address for the this office is: PO Box 387 Trenton, New Jersey 08625-0387 and they may be reached via telephone at (609)-292-7060. The application for NJ disability benefits consists of three segments: these segments must be completed by you, your treating physician and your most recent employer. The NJ disability claim must be mailed to the Disability Insurance Office in Trenton within 30 days of the onset of your condition. If the claim is submitted beyond this point, you must provide a written explanation as to why the delivery was delayed. Remember to include your Social Security number and name on all forms and correspondence. If you endure a work-related disability and your employer’s workers’ compensation provider does not supply you with benefits or stops paying your workers’ compensation benefits, you may qualify for NJ disability benefits. NJ disability law declares that, work related disabilities are not compensable according to the state’s Temporary Disability Benefits Law. NJ disability law states that these forms of disabilities are solely covered by Workers’ Compensation Law. Therefore, if your disability is work related, you must contact your employer and file a workers’ compensation claim with their respective workers’ compensation insurance carrier. That being said, if your disability is work related but your employer’s workers’ compensation carrier rejects your request for benefits, you are permitted to file a claim with the New Jersey Division of Temporary Disability Insurance. To be ruled eligible for temporary disability benefits, you must satisfy all of the Temporary Disability Benefits provisions, file a claim with the Division of Workers’ Compensation and agree to reimburse the Division of Temporary Disability Insurance if you are provided with Workers’ compensation benefits. The majority of claimants opt to consult with a legal specialist when filing a petition for work related disability benefits. If you require addition information regarding the filing of a workers’ compensation claim petition, it is suggested that you contact the New Jersey Division of Workers’ Compensation located here.